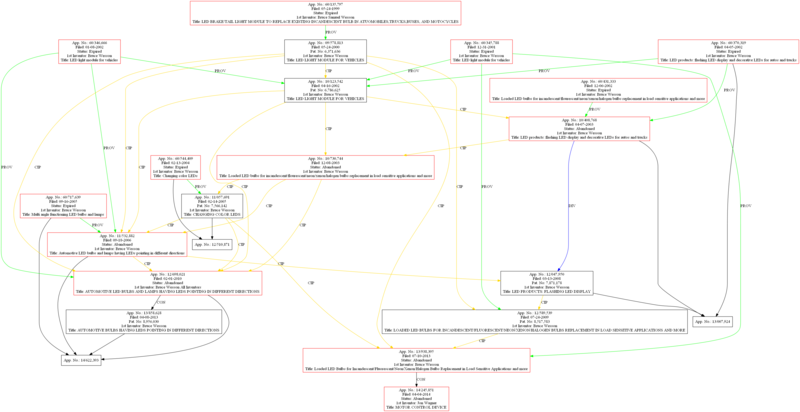 Have you ever tried to create a patent family tree of a large family? Then you know that this task could be error-prone and time-consuming, especially when the family contains many divisional applications, continuations, or continuations-in-part that branch out in multiple directions. ClaimMaster makes the job of generating a patent family tree of any size very straightforward. 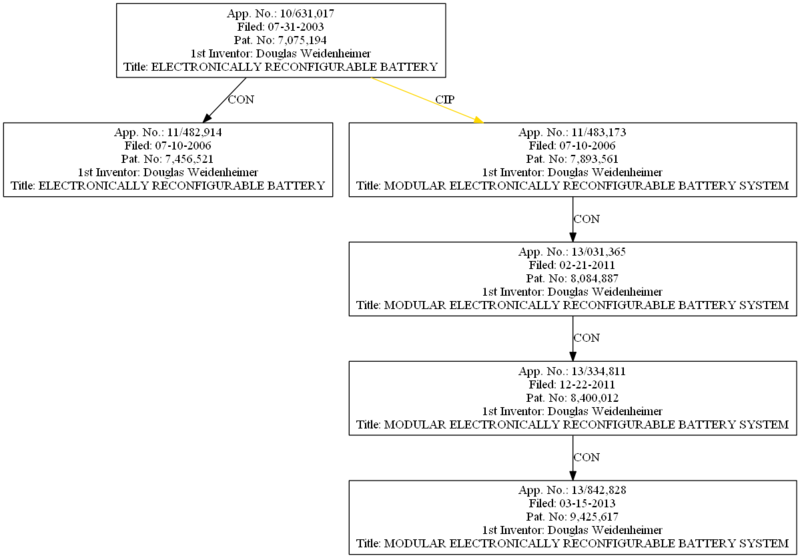 ClaimMaster automatically crawls Public/Private PAIR to extract continuity information for a given application number and then generates a visual family tree for the application. Our tool can also annotate the generated tree with additional of information, such as inventor names, patent titles, examiner name, etc. For large families, we suggest using Private PAIR because it does not time out quickly and will not prompt you to pass CAPTCHA every 20 or so queries. Let’s first take a look at using ClaimMaster to map out a well-organized family, such as the one for the U.S. Patent No. 7,893,561. 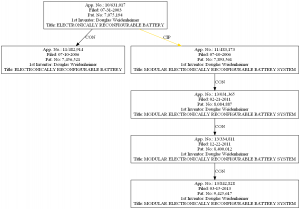 The patent family tree below was generated by ClaimMaster in about 2-3 minutes. Here, we can see that the original application had a direct continuation (11/482,914) and also a continuation-in-part (11/483,173). The continuation-in-part then had several direct continuations. Overall, the priority claiming approach taken by the applicant in this case is clean and tracing priority between applications is fairly straightforward. Unfortunately, this is not always the case. USPTO’s PAIR is replete with patents that take an overly aggressive approach in claiming priority and, eventually, lose track of the priority dates. This is particularly the case when the family contains multiple continuations-in-part (CIPs). After several sequential CIPs, it’s becomes next to impossible to determine the exact priority for each claim in the patent. The applicant might get a false sense of security about the early priority date of his application chain, while the actual priority date is far from certain. No doubt, such applications with convoluted priority dates are more difficult and costlier to enforce due to all the effort that needs to go into determining the exact priority date for each claim. Combined with claiming priorities to simultaneous provisionals and CIPs, this approach leads to a rather complicated patent family tree. When you claim priority to several chained CIPs, how can you reliably determine the priority date of your claims without painstakingly analyzing the disclosure of each CIP in the chain? It could be quite difficult. But at a minimum, ClaimMaster’s family tree tool will give you a starting point for the analysis. For more information about ClaimMaster’s PAIR family mapping feature, you can look at this demo or read the documentation. If you’d like to try out ClaimMaster and its many features, including PAIR family mapping, download the free 30-day trial from here.